The acutely painful limb is a challenging presentation due to a wide variety of potential diagnoses of varying severity and clinical states. Undertaking a focused history and examination will aid in establishing the underlying cause. We will look at common scenarios in which an acutely painful limb can present, in turn aiding the clinical decisions and investigations required. Any acutely painful limb that is cold and pale should be treated as acute limb ischaemia until proven otherwise, and is a surgical emergency. 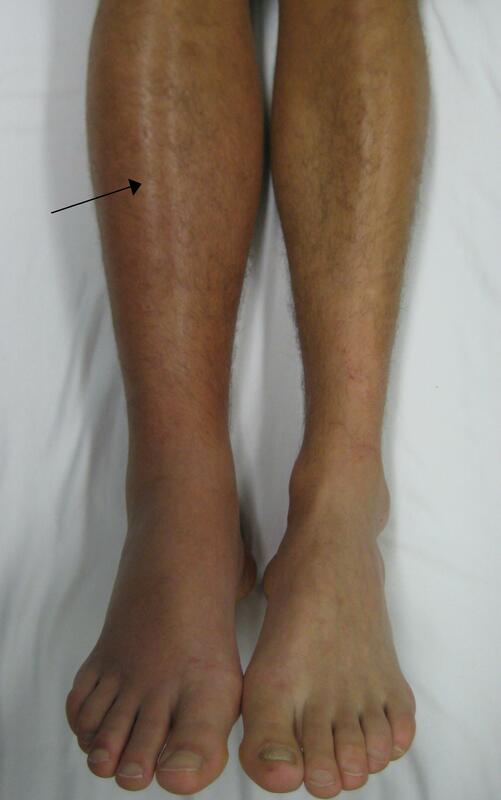 Acute limb ischaemia is classically associated with the 6 Ps (Pain, Pallor, Pulselessness, Paresthesia, Perishingly cold, and Paralysis), however most patients will only initially present with Pain, Pallor, and Pulselessness, before the subsequent features develop. If acute limb ischaemia is suspected, a CT angiogram should be arranged if feasible for confirmation and anatomical delineation, along with an urgent vascular review. Acute limb ischaemia is a surgical emergency as irreversible tissue damage occurs within six hours; patients should be sufficiently resuscitated whilst decisions for definitive versus conservative treatment are made. 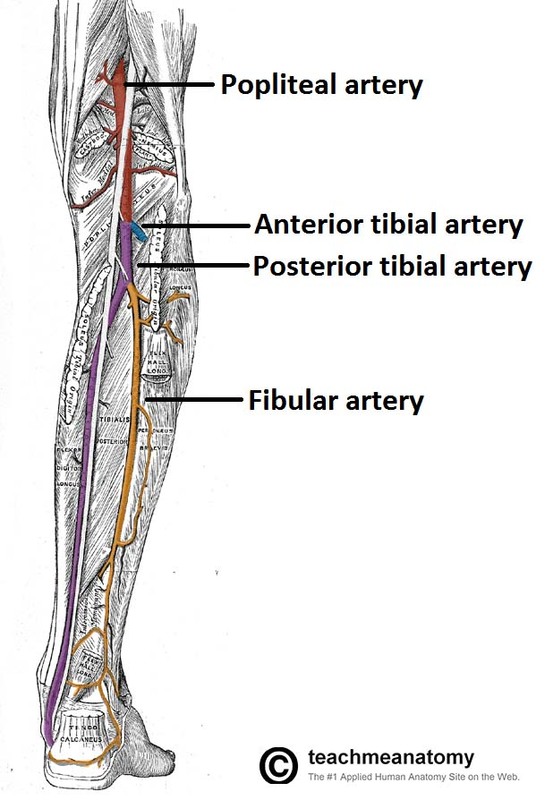 A sudden onset hot and swollen limb in most cases requires assessment for potential Deep Vein Thrombosis (DVT). The pain is often localised to the calf, associated with calf tenderness or firmness* (Fig. 2). Patients may have a history or family history of pro-thrombotic disease, with associated recent immobility or surgery. Any suspected DVT requires a Wells’ score to be calculated, those scoring ≥1 requiring an ultrasound Doppler scan (otherwise can be excluded with a D-Dimer). If confirmed they can be treated initially with therapeutic doses of Low-Molecular Weight Heparin (LMWH) before being started on long-term anti-coagulation (and those with an iliofemoral DVT require urgent vascular review). Other causes of hot and swollen painful limbs include cellulitis and other MSK-related infections (albeit commonly their onset is typically more subacute), which require varying preparations and length of antibiotics. Trauma* needs to be considered in patients with an acutely painful limb, as many injuries may go unreported with vague histories (especially in elderly patients or safeguarding cases). If a fracture is suspected, check for focal bony tenderness and inability to weight-bear, and have a low-threshold for radiological imaging. Neurological pathology may present with acutely painful limbs and should always be a consideration with every patient, regardless of age and past medical history. Radiculopathies will be typically associated with back pain that radiates to the affected region and worse on movement, as well as potential muscle weakness, paraesthesia, and altered reflexes. Other neurological causes of acute limb pain are vast, categorised into central (such as Multiple Sclerosis), spinal (such as disc herniation), and peripheral (such as infective or traumatic causes). When clinically assessing the patient with the acutely painful limb, an accurate history and examination can point to the diagnosis without any further investigations. Ensure to ask about associated symptoms and previous episodes, past medical history or specific risk factors, and any associated trauma. Ensure to perform full vascular and neurological examinations, comparing the contralateral limb as a comparison. All patients should be approached in a systematic fashion and haemodynamically stabilised early as necessary. Early recognition of the red flags is key, and ensure documentation of neurovascular status at the initial clerking. If acute limb ischaemia is suspected, CT angiography is typically indicated if deemed potentially treatable, with early involvement of the vascular surgeons. Most other causes can be treated with more time and focus. Definitive management is diagnosis specific, however routine bloods (including Group & Save if necessary) and sufficient analgesia should be standard for all patients. 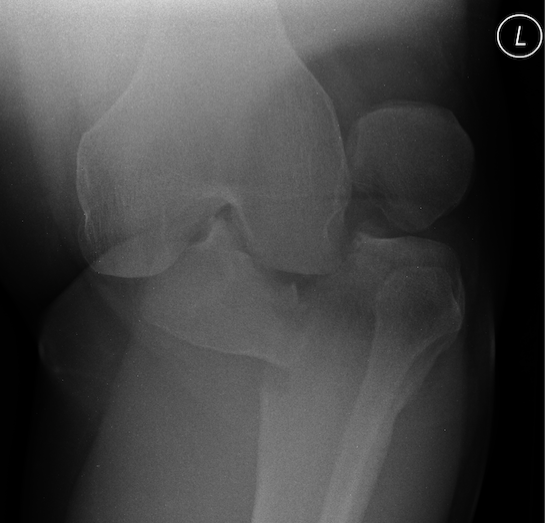 In a patient presenting with an acutely swollen limb up to the thigh, what is the most likely diagnosis? Which of the following examinations are imperative when assessing the acutely painful limb? Which of the following is NOT a sign of acute limb ischaemia?